A great stretchable baby sling made of tricot fabric! Not to thick but not to thin eighter with great softness. A great product to wear your baby in. Our stretchy baby sling is perfect to wear your baby the first year. You tie the baby wrap at your belly and then put your little one in the sling. Thegreat and comfortable fit out the baby sling is similar to a well fitting T-shirt. This stretchy sling is great to go out with your little one, it is possible to "pre" tie the sling already at home and use the sing when you arrive at your destination. 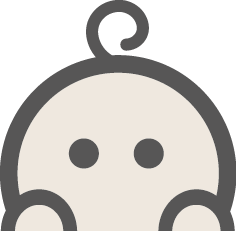 This product is a really suitable basic to start with, when starting babywearing. A high value for money product. You keep your baby close to you and meet the needs of your baby at all times. Babywearing in a (stretchy) baby sling is helping a lot when your baby cries, cramps and if he/she is a bit restless. This baby sling is a must have in your total baby collection. The stretchy sling is available in one size, which fits everyone. Do you have the feeling babywearing in a stretch baby sling is getting a bit heavy or have your baby reached the age of 1 year, we then advise you to look into woven wraps. 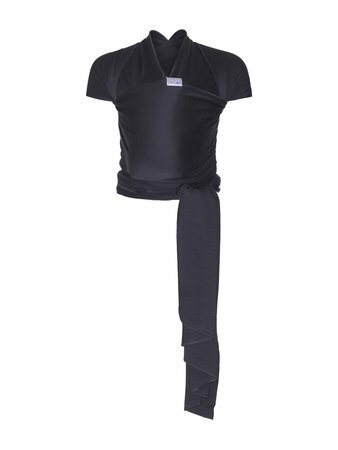 We do offer great woven baby slings in our essential or luxury line. It is of course also possible to change to a baby carrier. Our stretchy baby sling is made of 100% pure soft cotton. The total length of the sling is 5.00 meters, which make the sling suitable to use for everyone. Would you rather buy a baby sling which can be used in different way's like carrying at your back or hip? 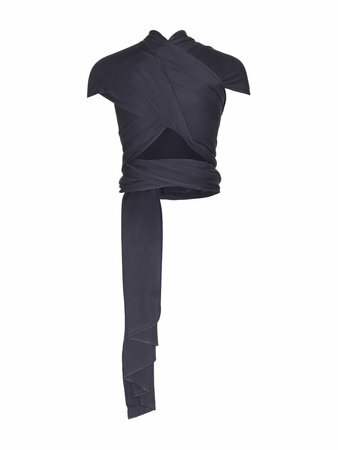 We advise to start right away with one of our woven baby slings from our Essential or Luxury collection. To provide you with more background information about our products and how to use our slings in various and safe ways we would like to redirect you to our blog.